Online jewelry sales are expected to take off in the next few years. Who are going to be the winners and losers from India’s shift to online jewelry sales? India’s appetite for jewelry is considerable. This $50B market consumes 1000 metric tons of gold each year – around a third of the world’s supply. But forces are presently at work that could have a major impact on the way Indians shop. Traditionally Indians have shopped for jewelry in small, often independent brick-and-mortar stores, but this may be changing. Although presently worth only about 0.5% of sales, by 2019 it’s thought that India’s online jewelry market could be worth over $3B. This is down to the twin forces of rising consumer incomes and the development of ecommerce in this market. Online startups in the Indian jewelry market are starting to emerge, some of them hotly tipped for success. BlueStone and Caratlane have both raised investment capital recently, and the former expects 5x year on year growth. Indians are still learning to participate in ecommerce, and low participation in the banking system remains a barrier for some. Despite growth in online jewelry sales, it may be some time before the majority of consumers are confident making high value purchases online. Much of India’s retail landscape is characterized by smaller independent “mom and pop shops.” The development of ecommerce and increasing consumer sophistication could mean larger brand stores eventually replace these small, independent retailers. There has been some political resistance to foreign retailers entering the Indian market, partly in an effort to protect local vendors. This trend doesn’t just affect the jewelry industry but also other types of retail. The “Amazon” effect – where small independent stores are replaced by giant retailers – is likely to continue as a key characteristic of Indian commercial landscape. Many traditional jewelry sellers aren’t adapting to sell online, or are only doing so half-heartedly. This may leave opportunities open for start-ups to grab market space as they adapt to the new retail reality. Choice is an important part of the new jewelry landscape. Even online-first retailers still believe offline activity is important. Caratlane has six physical stores and wants to open more. This opens omni-channel options for jewelry shoppers, such as giving customers the option to buy online and collect in store. This may be particularly important for the high-value nature of jewelry buying. Other brands are joining forces with online marketplaces: Ornativa sells across sites such as Snapdeal (the local Indian equivalent of an Amazon/Groupon combination). This marketplace approach has worked for jewelry in other world markets. Worldwide, jewelry is one of the biggest category for ecommerce giant Ebay. Whilst jewelry sellers have tended to cover smaller geographic markets, online sales are one way for them to scale up significantly by reaching a wider audience. Indian taste in jewelry is quite specific to that culture and nearly all jewelry produced in India is consumed internally. The Indian diaspora remains a significant export market for India’s jewelry. Online vendors based in India could potentially help cross-border sales. The nature of jewelry shopping online is slightly different to other categories of goods sold online. Unlike many other consumables, online jewelry sales are not driven by pricing and discounting but rather by choice. Consumers tend to be looking for a wider choice when they seek to buy jewelry online. BlueStone is responding by offering 5,000 unique designs online but the brand plans to scale up to 30,000 over three years. Other online retailers are finding new ways to display their wares, such as virtual reality. Other disruptive forces are also taking effect on India’s busy jewelry landscape. These include 3D printing, a novelty in any of the world’s markets. Although 3D jewelry makes up just a tiny part of market sales, it’s thought to be an area likely to grow speedily. 3D printed jewelry can be produced to order quickly, with the effect that online sales can be fulfilled at unprecedented speed. 3D technology also enables customization, something that’s popular in the wedding jewelry market. Many of India’s jewelry workers are employed in customizing pieces, so a move to 3D printing of jewelry is likely to result in major skills shifts. With tremendous economic growth underway, Indians may have more money to spend on decorative items such as jewelry. But the importance of jewelry may also change as a result of the huge forces affecting India. Ownership of jewelry, particularly gold, has effectively served in place of banking systems. As more and more Indians participate in the banking system, the role of jewelry may change. Young women have traditionally taken gold jewelry into marriage as a form of insurance against the marriage no longer supporting them. The evolving role of women as an independent economic force could change Indians’ relationship with gold jewelry, specifically buying high value gold jewelry at the time of a wedding. Indians have historically tended to favor high value 22 carat gold jewelry as a marriage gift, because the value of the gold it contains is seen as an investment. In the future, women may buy their own jewelry based on other preferences such as the design rather than the value of the gold it contains. It’s hard to predict what the effect of changing tastes may be on the wider industry. 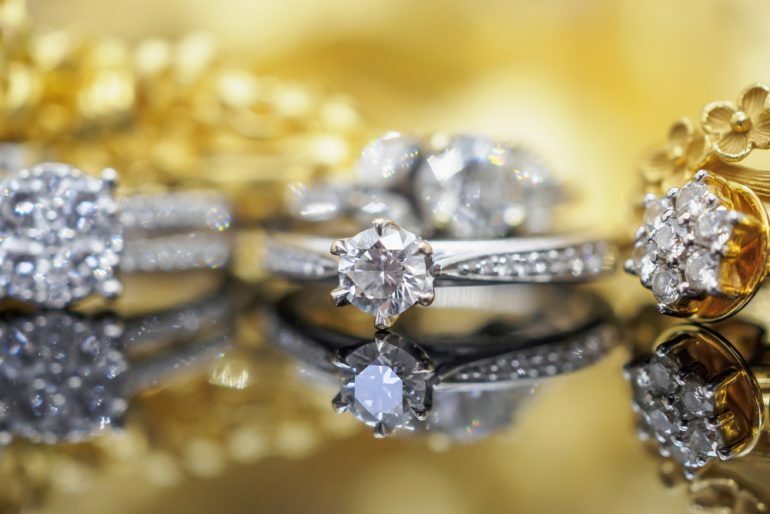 With jewelry no longer seen as a mechanism for storing and transporting wealth in the form of personal gold reserves, jewelry may be valued for aesthetics and style more than for the carat value. Another impact of economic growth and changing consumer tastes may be that people spend increasing disposable income on holidays or other luxuries such as designer clothing, and use investment vehicles within the formal banking system to hold money rather than in gold wearables. The only thing that’s predictable is that change is expected in India’s jewelry market – with online sellers likely to see growth in the foreseeable future.